Last night, Shawn Huber unexpectedly passed away at work. He has left behind a wife and three kids. When he wasn’t working, he was spending time with his family and friends. We would like to be able to help pay for funeral/memorial expenses as well as anything else the family may need at this time. Anything helps and nothing is too small for this family. We just want to take even the smallest burden off at this time and season. Good afternoon all. Quick update, someone has graciously offered to pay for catering for Saturday, so now our main dish is covered. If you’d like to bring a light finger food to share, you’re welcome to do that. We will have beverages but we will not be providing alcoholic beverages, you’re welcome to bring your own if you’d like. Thank you again for everyone who has reached out to help out this family as well as the celebration of life. 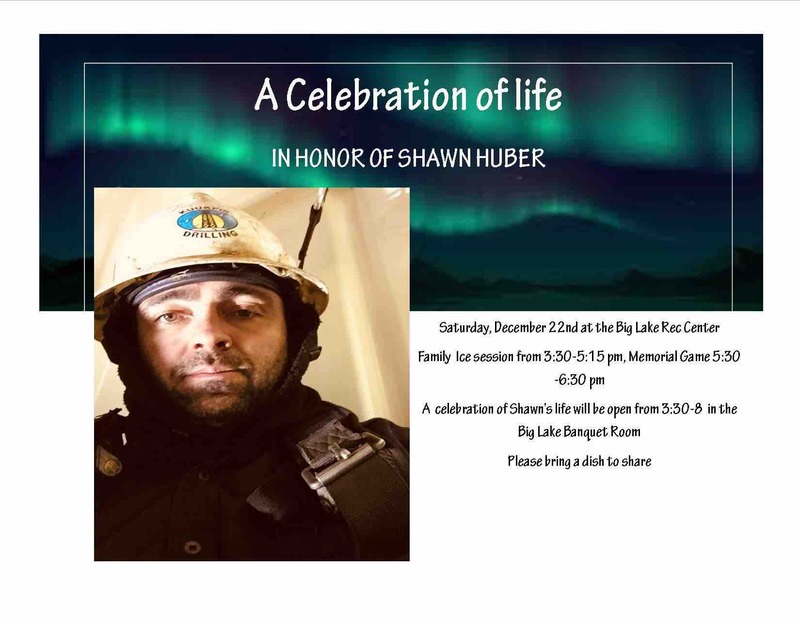 We will be having a Celebration of Life in honor of Shawn Huber on Saturday, December 22nd at the Big Lake Rec Center. There will be a family ice skating session from 3:30-5:15 pm. A Memorial Game will be from 5:30-6:30 pm. Celebration will be open from 3:30-8 pm in the Big Lake Banquet Room. All are welcome. Bring your skates and hockey gear. Please bring a dish to share and your choice of beverages. Good morning all. First, I would like to thank you all again so much for reaching out and helping this family in their time of need and loss. Since Friday, December 7th, when we all learned about this tragedy, it’s been a whirlwind of emotions and decisions for Stephanie, her kids and those close to her and her family. No one can truly prepare for a loss like this, but with your help and support, Stephanie can take some comfort in knowing that she can still take care of her kids and lay her husband to rest. On that note, today is the first day that she will be able to make funeral arrangements. Most of you may not know, but she will be flying Shawn home to Utah to be laid to rest. She should know more by the end of the day when that can happen. 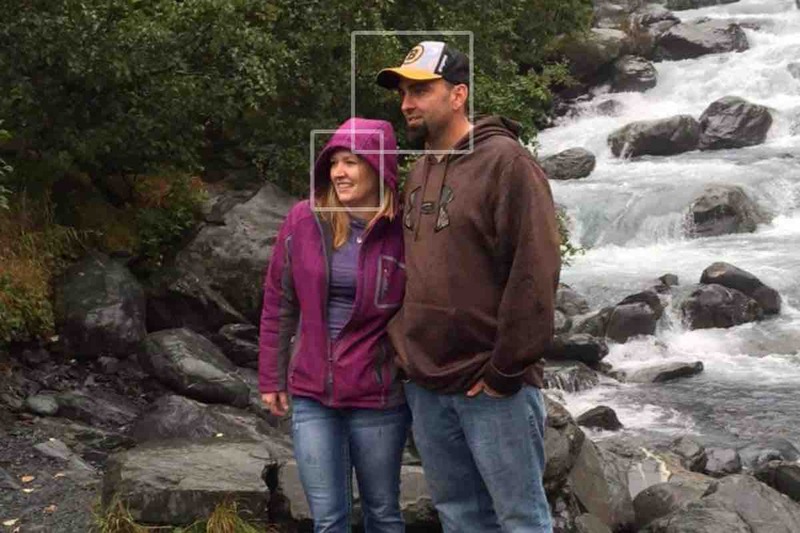 She will be doing a celebration of life for him here in Alaska afterwards, but the date and time are still to be determined. I will update again once we have more information. Thank you all for your patience and understanding and again for coming together as a community. To his friends and family on the North Slope, to his friends and family here in Wasilla, and to everyone outside of Alaska who has reached out, you’re absolutely amazing and are so appreciated. Stephanie, Shawnee, Trenton and Aubrey are truly blessed. Thank you.